A head-start | Rosi G.
I seriously thought this was a model when I first saw it in your flickr feed. I think you have a future America’s Next Top Model on your hands! Send some of that knitting mojo over this way!! That hood is gorgeous!! 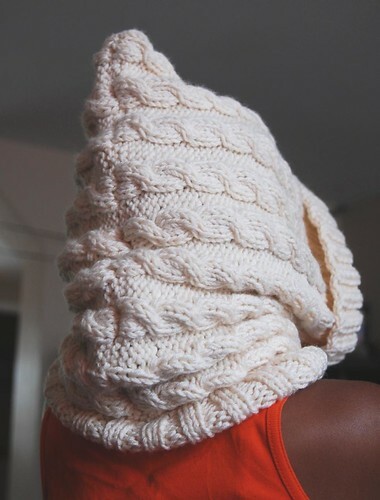 I wish I had the guts to rock a big hood like that.. for now I’ll be wrapping a scarf. That is fabulous! And you’ve got quite the gorgeous model there! Awww that is cute! I need me one of these..Esme is rocking that hood! You’re not biased, that girl is rocking that hood! 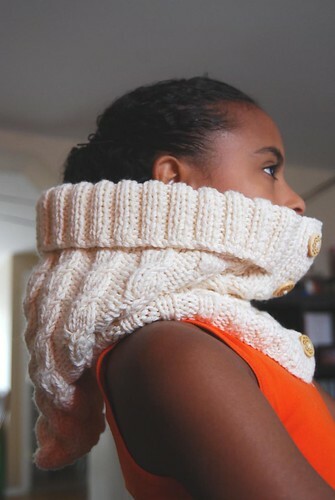 Makes me wish I had a daughter to knit that for. Looks nice, very nice! 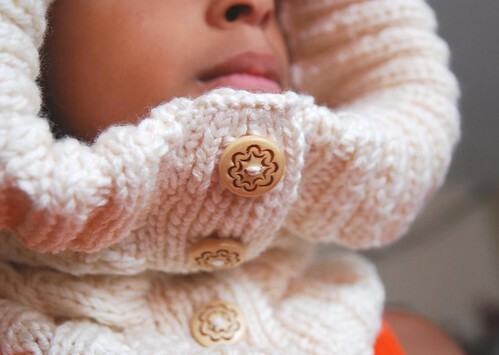 I’d be interested in seeing an entire aran sweater! 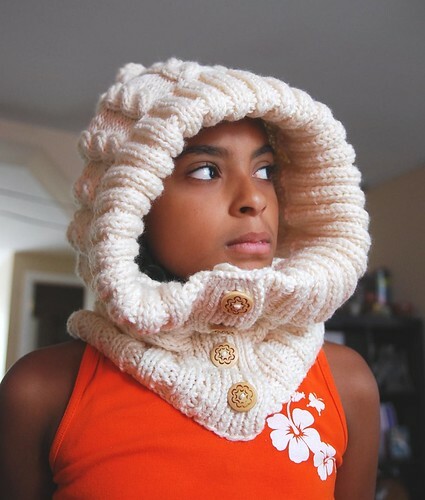 I know it will be beautiful..
That is one seriously snuggly FO and yes she does look fantastic in it. Both are gorgeous! That’s simply stunning. She looks like a runway model in this hood, it has that high fashion feel to it! I love it, it’s perfect for those New York winter days.